With the motto “Service With Excellence” in mind “Travel On Ltd” is a sister concern of “Sureswar Group”, was set up in January 2001. Our main objective was to arrange outbound tour packages at minimum possible cost. We have come a long way since then, by providing service with a distinction that sets us apart from others. When it comes to innovative packages we are the trendsetters, today it is our service that has turned us into the first choice of elite class people who want to travel the world. Today we boost more than 25 members of full time staff who have proven expertise in the field of travel and tour. At present Travel On Ltd is one of the most prominent travel house in Bangladesh and our aim is to be the best of the best in this sector. We are continuously bringing in new and exciting tour packages thus helping to create new generation of travelers. Our mission is to be the model of overall business development. “Travel On Ltd” a leading, IATA accredited travel and tours agency, To serve you we are bringing in our 10 years of experience. Our goal is to provide you the best possible service. Enriched with this wealth of experience and driven by the zeal of entrepreneurship, the company has expanded and diversified its network of operations to provide travel solutions to individuals and organizations alike. We are always improving and bringing out new packages designed for your convenience. Organizing Hajj and Umrah packages. Various tour packages in Thailand, Singapore, Malaysia, Dubai and Nepal. Selling Airlines tickets and flight charter. AsianVisaServiceCenter for Thailand, Singapore, Malaysia and Dubai. Hotel Reservation, Airport-Hotel-Airport Transport and Sight-seeing. Arranging customized group tours and company conferences. Our mission is to be the number one outbound tour operator in Bangladesh. We have the ambition to announce tour package for all the beautiful countries of the world with the excellence of service. We want our honorable guests to be a part of our growth, we want each of their trips with us to be memorable and enjoyable starting from the moment they open our brochure. We believe that we are the pioneer when it comes to bringing in different tour packages for elite clients as well as for masses. It is our inside urge to serve the best we can, has made us what we are today. I believe that with our expertise and foresight we will bring on revolution in the field of out bound tourism in Bangladesh and bring out new breed of world travelers from our country. Top ten bankers and Banking institutions. The entire mobile phone operators). Chief of Army-Navy-Air force and MNQ staffs. Tourism is the fastest growing and single largest industry in the world. Tourism as a multi-faced industry is playing pivotal role in the global as well as in the individual economic perspective. In the year 1950, the international tourist arrivals were 25.2 which rose to more than 800 million in the year 2005 and in 1950, the world tourism earning was US$ 2.1 billion and the same stood at US$ 623 in 2004 (WTO, 2005). The World Tourism Organization forecasted that in the year of 2010, the total world tourist arrivals will be 1,006.4 million and it will increase to 1,561.1 million in 2020 and the figure of the same for South Asia will be 10.6 million and 18.8 million in the year of 2010 and 2020 respectively and at the same time WTO forecasted that the number of tourist arrivals in Indian Ocean destinations will be 91.544 million and 179.249 in the year 2010 and 2020 respectively and the figure of the same in Bangladesh will be 0.255 million and 0.415 million in the corresponding years (WTO, 2000). According to WTO forecast the earnings from tourism will rise to US$ 2 trillion a year by 2020. The tourism industry of Bangladesh is of no exception from this. It can play an important role to contribute in the national economy of the country. In view of several holy shrines in the country there is the prospect of attracting millions of tourists to the country. But full potential of tourism could not be used largely due to inadequate and ineffective promotional activities of the industry. Institutional framework for attracting tourists has been in existence for more than three decades, but various institutions promote Bangladesh tourism with little coordination. This is construed to be one of the major hurdles adversely affecting the promotional activities and the resultant growth rate of the tourism industry in the country. It is of utmost importance to examine the special features of tourism firms’ promotional activities and suggest how to improve those activities in order to attract a reasonably good number of foreign tourists to visit the country and take their services. So far the researcher knows no comprehensive study addressing promotional aspects of the industry in Bangladesh has been conducted yet by anyone. Even a very few studies are available related to the issue of tourism marketing in Bangladesh. As tourism industry in Bangladesh has failed to undertake adequate and effective promotional activities due to policy guidelines, resource constraints, religious view of local people, hartals by politicians and they lack of marketing orientation, hence, a study on this area is essential to uncover the relevant facts. It is also expected that the findings and analysis of this study will help formulate appropriate promotional measures and thus motivate effectively more potential foreigntourists to visit Bangladesh as well as to contribute the economy of the country. At the same time, this study may be helpful for the policy-makers of the country to devote their attention to the issue of the segments of the tourism market that they wish to attract. D. To prescribe necessary policies and managerial implications of the tour operating firms in Bangladesh in light of findings and current theory in the field. Tourism presents one of the fastest growing industries in the world because information and communication technology has enabled people to identify tourism destinations worthy a visit. Although the trend appears similar to both developing and developed nations, the former have witnessed unprecedented rise in the number of tourists from around the world coming to enjoy scenic land features and ecosystems. In effect, governments have responded correspondingly by enhancing the role they play in tourism development. In emerging nations (such as Thailand and South Africa) and developing countries (such as Kenya), tourism contributes a significant part to the national economies. Common in other countries, governments have begun to play the role of planners, managers, facilitators, stimulators, and regulators of tourism activities in an effort to promote development in their tourism sectors (Sharpley&Telfer 2002). In addition, some players have come up to complement the efforts of the governments and others, to protect the environment and local communities against the capitalist desires of the government. Private enterprises provide support in form of investment and advice to state institutions involved in tourism. Local communities identify and report to government about potential tourist sites and regions as well as protecting the natural and cultural resources against destruction. Other major agents in tourism industry in the countries include multinational agencies, non-governmental organizations, and media, among others. The governments have formed various partnerships with the other agents from the private sector to work cooperatively in promoting sustainable growth of respective tourism sectors (Huber’s 2007). Although the partnerships have worked well in some cases, they have encountered various hurdles in other cases that have limited their success. The current research explores the various agents involved in tourism industry in developing and emerging nations. It examines the role of government institutions and roles of other players, including media, international organizations, local communities, and others. The research also explores the nature of partnership between private and public organizations in the countries. The legislative, executive, and judiciary arms of government have great influence on tourism development in many countries, including both developed and developing countries. In third world countries, the level of influence depends on the perceived economic importance that tourism holds in the overall economy and the extent of the relationships between different government institutions as well as political, social, and cultural characteristics of the nations. Although government institutions vary from one country to another depending on the type of government (for example, democratic or communist), the major institutions that have significant influence on the tourism industry include central and local (or provincial) governments, law enforcement agencies, administrative units, courts, and other units of governance. According to Sharpley and Telfer (2002), the major roles played by governments of emerging and developing nations include planning, management, policymaking and regulation, investment, protection of interests of different stakeholders, social tourism, and promotion. Government plans for all major development activities and operations in the tourism industry. Majority of tourist attractions include natural endowments, such as natural ecosystems, attractive natural sceneries, and other natural features in different countries (Huybers 2007). Since tourism value of such endowments form a significant part of national economies in developing countries, government has a major obligation to plan on how tourism operations and other related activities should be carried out to protect and preserve the endowments. The plans may involve a wide range of operations, including maps of land usage in areas neighboring the endowments, marketing plans, layouts of infrastructure (roads, accommodation facilities, and other support services), and plans of the recommended modes of transport in different tourist attraction sites. The planning may be short-term or long-term, demonstrating how government expects development of tourism sector to be in future. For instance, Thailand government has been involved in various planning activities owing to the significant role played by tourism in the national economy. In 2008, the government released a marketing plan explaining how it intends to promote the various tourist destinations in the country (Tourism Authority of Thailand (TAT) n.d.). In the same year, Kenyan government also released its tourism strategic plan for the period from 2008 to 2012, showing how the government expects to promote its tourist attractions, fund development of its tourism sector, and monitor tourist operations. Tourism development involves collaborative efforts of many stakeholders, including government, international players, local societies, private sector groups, and many others. Thus, it is essential for the government to manage or coordinate these stakeholders in an effort to ensure smooth operations in the sector. Government manages the activities of the various stakeholders to minimize replication of efforts among themselves and to align their practices with the objectives and goals laid down in planning (Sharpley&Telfer 2002). Without government coordination, it is not be possible for the various public institutions and other stakeholders to know areas conducive to tourism development, government plans in place to promote tourism development in various regions, and the efforts being made by other stakeholders in achieving development objectives. As a result, stakeholders would reproduce efforts of other players in the sector, a situation likely to lead to increased development activities in some areas of the sector at the expense of others. Therefore, government’s role as a manager of the tourism industry serves to harmonize the efforts of all players with objectives of tourism plans for even development in all tourism areas within the country. In many developing countries, governments establish specialized public institutions to coordinate activities of domestic and international tourism operators. For instance, Department of Tourism in Kenya is the government unit responsible for managing all activities related to tourism development in the country. In Thailand, TAT coordinates activities of domestic tourism agents and international partners to ensure balanced development in all sectors of the tourism industry according to government plans. The Department of Tourism, South Africa has a legal mandate to manage development activities at provincial, national, and international levels to ensure that they are in line with government goals regarding tourism industry in the country (Lubbe 2003). Government develops and implements legislations intended to regulate development in the tourism industry. It formulates various legislations to control tourism operations in an effort to promote development in the sector, type and nature of stakeholders to participate in the industry, to establish and conserve natural endowments perceived as tourist attractions. In addition, it also implements laws to regulate contributions of other sectors of the economy to tourism. For instance, legislative efforts to regulate entry of foreigners into the country, taxes paid by citizens and foreigners, protection of the environment, and labor inevitably affect development activities in tourism industry. Tourism legislative framework in Kenya demonstrates the nature of the regulative role of government in the industry. The country has a comprehensive Wildlife Conservation and Management Act (WCMA) that controls tourist activities in specific sites (lakes, ocean, forests, and land features) as well as other related ecological sources that influence survival of the tourist sites. It has also enacted other laws to control operations that support tourism, including the Hotels and Restaurants Act (HRA) and the Tourist Industry Licensing Act Bangladesh. In any developing, emerging, or developed nation, government invests heavily in tourism industry to complement investment efforts by the private individuals and organizations. It not only invests in those areas perceived as capital-intensive projects, but also in regions considered unworthy for investment by private entrepreneurs. In many developing nations, governments have invested heavily in establishing museums, national parks, game reserves, beaches, roads, airports, airline, other transportation means, hospitals, and other tourism related infrastructure. They have also undertaken investment in other low-risk projects, such as accommodation and travel services. For instance, Thailand government has established more than 100 national parks, comprising of aquatic and terrestrial ecosystems that serve as tourist attractions (TAT n.d.). It has also build an effective road network, making the parks easily accessible to both domestic and international tourists. Government role as a facilitator of tourism development has a great influence on growth of the tourism industry in emerging and developing nations. It facilitates development in a wide range of ways. Through law enforcement agencies, it ensures security and safety of tourists and tourism operators and their investments (Sharpley&Telfer 2002). For instance, Kenyan government created a dedicated tourist police unit to ensure security and safety of tourist while visiting the various parks and attractions in the country. It can also stimulate development through provision of subsidies, grants, and tax breaks to encourage private individuals and firms to invest in the sector as well as to attract tourists. A good example is Thailand where it refunds value-added tax (VAT) tariffs to tourists when they purchase goods and other items at designed retail centers. Government plays other roles, such as promotion of their countries as tourist destinations, development of social tourism, and safeguarding of interests of the public (Sharpley&Telfer 2002). It establishes various products to market the various tourist attractions available in the nation in an effort to attract tourists and investors into the sector. In other countries, such as Kenya and Thailand, government promotes social tourism, encouraging tourists to visit the countries to witness and learn about various cultures espoused by different communities. Government also participates in tourism development by protecting the interests of the public against exploitation by private investors. It gives some part of revenues collected in tourist attractions back to the neighboring communities and requires private investors to establish corporate social responsibility programs to improve living standards of people living in regions adjacent to their facilities. 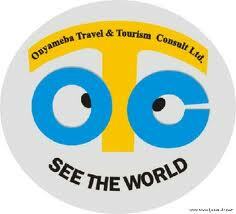 Besides government, other parties in Third World countries play significant roles in tourism industry. Among others, they include local communities, private enterprises, media, non-governmental organizations (NGOs), and multinational agencies. Like government, local communities have greatest influence on development of tourism industry. Environmental conservation remains the major role of local societies, as they coexist with various tourist attractions available in their country. They have a responsibility to coexist with biodiversity within ecosystems and report any environmental malpractice by some of their members, public officers, and private investors to the relevant authorities. In majority of developing countries, the communities have become essential components of cultural tourism. They form cultural groups to attract local and foreign tourists to come and see their cultural heritage as well as to entertain the tourists when they visit neighboring sites. For example, Kenya is well known internationally for its wide variety of cultural tourist activities organized by various local communities. Tourists to Masai Mara National Reserve have the opportunity to enjoy not only the vast diversity of animals, but also the cultural heritage (dances, houses, and dressing) of Masai community, one of few Kenyan communities that have preserved its culture amidst widespread influence of Western cultures on way of life of many Kenyans (MOT, Kenya n.d.). According to Lubbe (2003), local people may invest into the tourism industry as private investors or partner with government, NGOs, and international agencies to establish projects that foster tourism development. In various countries, communities have partnered with the government and NGOs to advocate for sustainable tourism development. They have championed for doing tourism operations and activities in a way that protects and conserves the environment, which influences greatly survival of the various ecosystems serving as tourist destinations. Moreover, the communities can also play a role of domestic tourists by visiting national parks, game reserves, and other attractions within their countries. In developing or emerging nations, Sharpley and Telfer (2002) argue that private investors complement entrepreneurial role of government in the tourism sector. The major contributions of the private enterprises include investments in the travel and hotel and accommodation industries. In the travel industry, they establish travel agencies to offer various services to tourists. They serve as travel agents who approach potential tourists and organize all travel requirements, including visas for the tourists. They also organize means of transport for the tourists during visits to the various tourist destinations within their nations. In majority of developing countries, private investors remain the major travel agents of tourists. In hotel and accommodation industry, they invest heavily in hotels and restaurants in regions surrounding tourism sites. Through the investments, they offer employment opportunities to many local people, thereby improving living standards of local communities. In addition, they support government in development of infrastructure in regions where they operate. For instance, they build roads and invest in conservation projects in tourism sites where their facilities are located as a way to attract tourists to their businesses. Media’s role in the sector involves marketing and bringing awareness among all stakeholders about the tourism in emerging or Third World nations (Lubbe 2003). Domestic and international media run different programs intended to promote various tourism sites and adventures offered by such sites in a bid to encourage people to visit those sites. Emergence of internet and computer technology has provided a means to the government to promote tourist destinations to people around the world. In the case of Kenya, Thailand, and South Africa, every government has integrated information technology to support tourism promotional activities. Anybody in the world can access these websites to learn most the details about tourism in the nations, including various destinations, interactive maps showing how to get to the destinations, various attractive features to expect in the sites, nearby hotels, relevant travel agents, and rates of the services. Thus, potential tourists can choose on their own potential destinations to visit and plan effectively. As an education tool, it provides a platform through which different stakeholders can understand, learn, and enjoy opportunities offered by various regions within a country. It brings awareness among public about various tourist destinations within their country and importance of conserving the sites. It also makes private enterprises aware of opportunities and benefits in various regions in the nations, enabling them to invest in underdeveloped areas of tourism industry. Various multinational organizations comprised of governments and tourism organizations from different countries influence growth of tourism industries in developing nations. Their major objective entails scrutinizing tourism developments in those nations to ensure that they conform to standards acceptable globally. According to Lubbe (2003), major global tourism agencies include World Trade Organization (WTO), International Air Transport Association (IATA), International Hotel & Restaurant Association (IH&RA), and World Travel and Tourism Council (WTTC). WTO represents the only international agency responsible for coordinating all facets of tourism development in the globe. It coordinates national and international stakeholders in planning, development, and implementation of tourism projects in almost every country across the globe. It also facilitates conferences among different local and global tourism agents to address and share information about the issues facing tourism and possible alternative approaches to address them. It plays an educative role of doing research on different problems facing developing nations and offering information to them on how to solve the issues. Other roles include educating and training future professionals as well as promoting ecotourism initiatives in both developed and developing countries (Huybers 2007). WTTC comprises of private enterprises from the various sectors of national tourism industry, including accommodation, catering, travel, transportation, and other tourism-related enterprises. Its major role entails promoting and campaigning for entrepreneurship in the international tourism sector. It promotes tourism development as a means to reduce unemployment levels in developing nations. It promotes for liberalization of world market in all sectors that influence or relate to tourism industry (Lubbe 2003). In addition, it negotiates with governments (on behalf of its members) to eliminate protectionist policies that would cause uneven competition among the different players in the industry. It encourages its members to embrace sustainable development and interact with local communities effectively to alleviate their standards of living. IH&RA and IATA can be regarded as subsets of WTTC, with IH&RA playing specialized roles in tourism and hospitality industry, and IATA playing similar roles to those of WTTC in the air travel industry. To some extent, World Bank, International Monetary Fund (IMF), United Nations Environmental Agency (UNEP), World Health Organizations (WHO) also play significant role in tourism sectors of developing countries. For instance, IMF provides funds to governments for financing infrastructure, while WHO monitors and informs tourists and local communities about disease outbreaks in different regions of the globe. The nature of tourism industry calls for a positive relationship between government institutions and non-governmental agents for sustained development. It requires substantial resources (capital, infrastructure, human resources, and others) and comprises many activities, making it impossible for either government or private enterprises to handle on its own. Thus, it becomes essential for the government to seek collaboration with other agents to foster tourism growth. To market “Coffs Coast” as the premier destination on the eastern seaboard for leisure, conference, corporate, international, sporting and special event markets, and to develop strategies which will increase visitation to the region, enhance the visitors experience and contribute to the Coffs Coast economy. and promote the image of Council as an efficient and professional organisation.  Undertake the strategic development of tourism related market opportunities including infrastructure and marketing initiatives. These initiatives will be delivered through an integrated approach in consultation and cooperation between Council, industry and other government agencies. Prepare, implement and report on the tourism development plan and annual marketing plan to promote and enhance the Coffs Coast within the Domestic and International marketplace in consultation with relevant stakeholders. Liaise with industry, local, state and federal governments in regard to promotional, advertising opportunities and co-operative funding and any policy changes that may affect regional tourism. Major Events Marketing (sport, arts and culture, food and wine) work with the industry and Councils Sports Unit and Economic Development Unit to strategically grow existing events and to develop new events that contribute to increasing numbers of overnight visitors, generating media exposure (for Coffs Coast) and ideally stage in non-peak periods. Ensure all problems or complaints from industry, community, and visitors are addressed in a timely manner. Ensure Coffs Harbor City Council is provided with the latest tourism research produced by regional, state and federal bodies including the efficient and timely production and reporting of statistical data collected through the Visitors Information Centre and Business Tourism sections. Contract “one off” research projects as required. Ensure financial performance is delivered in accordance with budgeted projections. Ensure commitment to exceeding the expectations and requirements of customers. Provide leadership, direction and a supportive environment for team members. Recommend, implement & report on annual budgets and relevant control processes for the section. Explore income producing and cost reduction opportunities. Monitor asset management and related record keeping controls. Provide accurate and timely Council, Monthly, Quarterly and Annual reports where necessary. Ensure observance of corporate responses to government legislations such as the Disability Discrimination Act, access and equity, occupational health. Implement effective communication strategies to stakeholders, staff & community. Maintain a cohesive team environment. Provide accurate and timely reports, written and verbal presentations as required. Ensure compliance with all funding agreements. Monitor compliance with relevant codes, industry standards, legal requirements for all projects and services.  Participate in and promote professional development activities eg courses, seminars to maintain and continuously improve knowledge required to competently fulfil the requirements of the position. Be willing to undertake any training considered necessary for the position. Train others in your own areas of experience and expertise in order to meet the organization’s competency based training needs. You may be required to relocate to any department, branch or section within the organization at the direction of the General Manager. Undertake projects and research as directed. TOL is a full service travel agency that specializes in adventure travel and provides recreational and business travelers with professional service and consultation. TOL will position itself as a specialist in the field of adventure travel and will generate the majority of its income from this segment. ATI’s total start-up capital requirement is approximately 103,000. Start-up will be financed through the owner’s personal investment and a long-term note secured from the Woodville First National Bank. Start-up details are located in Table 1. EXPENSES: These will be rent, office supplies, consultant’s fees, insurance, utilities, etc. The largest start-up expense will be for computers. ASSETS: Primarily cash and computers. INVESTMENT: The bulk of the investment will come from a loan from Shea Delaney’s personal savings. LOANS: An 85,000 loan has been secured from Woodville First National Bank. ATI is a sole proprietorship owned and operated by Shea Delaney in the town of Atkins Grove, California. ATI’s owner is researching the possibility of establishing TOL as a Limited Liability Company (LLC) or Partnership (LLP). This may occur within eighteen months of operation. ATI has identified three potential locations for office space. All potential locations are in the town of Atkins Grove, California, and are between 800 and 1000 sq. ft. Once successfully established, TOL will be one of approximately 30 travel agencies in the greater Woodville area, population 325,000. TOL will be the only adventure travel specialist in the immediate area. TOL provides individual and group travel to leisure and corporate clients. Services and products provided by TOL include travel consultation, pre-arranged tours, custom packages, reservations for lodging, rental cars, rail passage, etc. TOL seeks to differentiate itself as the premier adventure travel agency in the greater Woodville area. TOL is a full service agency and sells standard travel agency goods and services, including airfare and travel packages. Additional services include assistance with passports, providing access to top-of-the-line equipment and supplies, and a superior offering that includes access to better than average terrain and activities, accommodations, and entertainment. The value added of TOL’s offering is its knowledge and expertise, competitive rates, and specialty focus on adventure travel, which translates into increased satisfaction for the customer. Adventure travel is divided into two categories, hard and soft adventure. Both hard and soft adventures involve active and athletic activities. Hard adventure activities, as the name suggests, generally consist of activities that involve risk and athletic competence. Soft adventure activities are less physically demanding and more passive than their hard adventure counterparts. Economic indicators suggest that an increased demand for adventure travel services exists. ATI can position itself as a niche service provider within the travel and tourism market and offer high quality travel packages for various sporting trips. ATI will serve the adventure travel market as a top quality, full service provider. All suppliers with whom ATI will deal will be top-notch professionals with accomplished backgrounds. If suppliers fail, at any time, to meet our rigid standards of quality, they will not be used. The travel agency market is competitive, and technology, namely the Internet and Computerized Reservation Systems (CRS), has changed the way travel agencies operate. The Internet gives agencies and individuals the ability to perform travel related research. Discount air fare brokers have taken advantage of the Internet by offering tickets on line at discounted rates. This has increased price competition. Computerized Reservation Systems have increased the speed and efficiency of the agency to customer transaction. They have also increased the start-up costs for travel agencies who wish to be competitive. Moreover, industry competition and the increased number of travel options available have made it necessary for smaller travel agencies to establish themselves as specialists in one or more types of travel. ATI has done this by positioning itself as an adventure travel specialist. ATI has not identified a direct competitor in the greater Woodville area. However, a travel agency does not have to be an adventure travel specialist to book an adventure travel trip. Therefore, ATI will compete with other Woodville area travel agencies as they offer alternatives to adventure travel, have the ability to arrange adventure travel themselves, and have the advantage of established relationships with clients. Brochures for travel locations, rental car companies, entertainment, etc. are obtained from the wholesale houses and service providers with whom TOL deals. Brochures for TOL are handled by a local graphic arts company and are mailed to potential customers upon request. Additional literature such as direct mail, print ads, and sales promotion materials will be utilized as needed. TOL will maintain a database from which customer/contact information will be drawn. TOL has established relationships with providers of travel related products and services. Two major airlines have been selected as our primary ticket providers in part because they do not cap the agent’s profit on tickets. This allows us to capture the 10% margin on ticket sales that was for many years the industry standard. Market research has enabled us to identify and establish working relationships with service providers around the world. TOL has been able to identify opportunities to capture margins of up to 25% from certain parties. Sourcing will be continuously evaluated. TOL will take advantage of trade shows, travel industry publications, and other sources of industry related information to monitor the quality of its offering. TOL will rely on a Computerized Reservation System (CRS) for all client reservations. The CRS enables travel agencies to identify what the customer is looking for and make that information available quickly. It also increases the speed and efficiency with which ATI can communicate with suppliers. In addition, the CRS makes customer data storage and retrieval relatively simple. ATI will also make use of the Internet for market research and communications. TOL may in the future open agencies at additional locations. In addition, as the adventure travel market reaches maturity, ATI may participate in additional segments of the travel market. TOL is researching the market to identify potential opportunities for future sales. TOL’s long-term goal is to establish itself as an internationally recognized provider of top-of-the-line adventure travel. This goal does not prohibit TOLfrom participating in additional segments. It does, however, provide a corporate focus and a differentiated offering. TOL plans to focus its initial efforts on the adventure travel market in the greater Woodville area. Adventure travel falls primarily under the leisure travel category. Revenues from leisure travel earned by B.D. travel agencies exceed 50 billion annually. Adventure travel is a sub-category of leisure travel and can be further broken down into hard and soft adventure travel. Annual expenditures in the B.D. market are estimated to be approximately 40-50 million for soft and 12-15 for hard adventure travelers. Adventure travelers are slightly more likely to be men between the ages of 18-34. However an increasing number of hard adventure travelers are women (some statistics suggest that women comprise 49% of the adventure market). Men on average spend more than women on their adventure travels. TOL’s primary customers, however, are married couples, ages 25-35, with children and household incomes over $50,000. We recommend using Live Plan as the easiest way to create graphs for your own business plan. ATI is located in the heart of the Pacific Northwest. The natural beauty and abundance of outdoor activities attract many fitness oriented individuals. Per capita, the area has more people than any other in the nation who actively participate in mountain and water sports such as skiing, climbing, kayaking, whitewater rafting, mountain biking, etc. These are the people in ATI’s target market. ATI will focus on the sale and promotion of adventure travel primarily to individuals, but also to corporate clients in the Woodville area. One notable trend in the travel industry is increased deregulation. Deregulation has increased the need for differentiation and has, in many cases, lowered the prices of airfare and other travel related services. Additional trends include caps on agency commissions by many of the larger airlines, increases in adventure travel, and reduction of profit margins. More than 50% of the U.S. adult traveling population, or 147 million people, have taken an adventure trip in their lifetime, 98 million in the past five years. Approximately 31 million adults have engaged in hard adventure activities like whitewater rafting, scuba diving, and mountain biking. An additional 25 million engaged in both a hard and soft adventure activity. Activities most commonly participated in during adventure vacations: camping (85%), hiking (74%), skiing (51%), snorkeling or scuba diving (30%), sailing (26%), kayaking or whitewater rafting (24%), and biking trips (24%). Customers tend to be young and affluent, ages 18-34, and one fourth are from households with annual incomes of $75,000 or more. The travel industry is growing. Reasons for this growth include a healthy domestic economy and the devaluation of currency in other regions which has made travel less expensive for Thai. residents. Leisure travel has increased by 3.2% in 1997 and is predicted to grow 2.0% in 1998. The healthy economy has increased business which in turn boosted domestic business travel 4.8% in 1997 with an estimated increase of 3.6% in 1998. Adventure travel, which is growing 10% annually, is one of the fastest growing segments of the travel industry. Statistics show that 8,000 U.S. companies offered adventure packages that generated $7 billion in 1997. There also has been a 66% increase in executive participation in adventure travel between 1992 and 1996. Many potential customers are unsure of the location they wish to reach. Part of the value associated with travel agencies is the knowledge they possess about destinations. Customers look to the agency to provide them with sound advice for a competitive price.TOLis confident in its ability to do so. Time is a precious commodity. TOL can save the customer time and money, and help to ensure that they are satisfied with their vacation. The Thai travel and tourism industry is the nation’s third largest retail industry, and the thai. Department of Commerce says that it will be number one by the year 2000. Revenues from travel have increased approximately 100% in the last decade. Thai travel agencies produce over $100 billion in revenues each year. The market is separated into two main categories, business and leisure travel. Each contribute about 45% to total revenues. The remainder of revenues are generated from combined business/leisure trips. The market is further separated into domestic and international travel. Domestic travel accounts for approximately 70% of industry revenues. Business travel can be divided into two categories, the medium to large corporate account and the small independent businessman. Leisure travelers are classified according to the types of trips they take, income, or age. Adventure, Special-Interest, R&R, Honeymoons, and Sightseeing Trips. There are many activities and types of travel available to people contemplating an adventure vacation. These substitute products and services are one type of competition. Theme parks, motorhome trips, and cruises are just a few. Other substitutes include less expensive, self-planned, or trips geared towards more traditional types of vacations. In addition, potential customers do not have to vacation. Instead, they may elect to spend elsewhere, or invest the money they would have otherwise spent on a vacation. Direct competition can come from virtually any agency, and there are several agencies who specialize in adventure travel in the United States. Lifestyle, age, and disposable income influence the decision to travel and in which type of travel to participate. Adventure travelers make purchase decisions based upon their desire to combine athletic interests with vacation time. The average adventure traveler engages in one adventure travel vacation every 12-18 months. Rollins & Hayes: Based on the east coast, Rollins & Hayes are the most well-known and respected adventure travel agency in the world. They have been providing adventure travel packages for over twenty years. Rollins & Hayes have successfully integrated travel agency services and adventure travel activities. This offers them complete control over the entire vacation. They have the advantage of an established reputation, high-quality trips, economies of scale, and strategic alliances. However, their packages are expensive and appeal primarily to a high-income clientele. Sundance Travel: Based in Colorado, Sundance is a traditional agency and has been in business for 10 years. They have gradually made the move towards adventure travel specialists and are now recognized as such. Their strengths are experience, reputation, and financial solvency. Weaknesses may include high personnel and management turnover and the lack of a clear plan for future growth. Global Adventure Travel: Global was established in 1995 and they have successfully established themselves as adventure travel specialists. They are based in the Los Angeles area. Global has done a good job positioning themselves through successful marketing communications and management. The Los Angeles area contains a large adventure travel market. It is, however, a very competitive area. The travel industry is similar to many others. There are large national chains, small home-based businesses, consolidators on the Internet, etc. Membership numbers in some of the travel related associations give some indication of the number of participants in this market. Reports 25,000 members in 135 countries, most of whom are small businesses. The Association of Retail Travel Agencies (ATAB) has another 3,000 members. In addition, there are many agencies not affiliated with these associations but with one or more of the approximately 35 travel industry organizations in the country. ATI has approximately 30 immediate competitors in the greater Woodville area, including two agencies that are branches of national travel agency chains. The primary distribution pattern in the travel industry is from supplier to agent to consumer. Distribution between supplier and agency is regulated by a conference system. The two conferences through which agencies gain access to air travel providers are the Airline Reporting Corporation (ARC) and the International Airlines Travel Agents Network (IATAN). These suppliers can be contacted through Computerized Reservation System (CRS). Travel agencies receive a supply of blank airline ticket vouchers from the ARC. The agency is responsible for proper storage of and collecting payments for the vouchers. One notable change in the distribution channel has occurred. Wholesale houses have started buying large quantities of airline tickets and selling online for reduced prices. Establish TOL’s reputation as a differentiated, specialty provider of adventure travel. This will be accomplished through a diverse marketing communications program at TOL’s target market, utilizing various media. Provide unparalleled service to the people of Woodville in order to gain repeat business and build trust. This will include providing superior service in all phases of the transaction, including timely follow-through. Aggressively promote adventure sports as healthy and exciting activities and those who participate in them as pioneers, heroes, and true Pacific North westerners. The value proposition of TOL’s services comes from TOL’s experience with and love of adventure sports. TOL’s employees are confident in their ability to meet the needs of their customers because they share the customers’ enthusiasm for the activities TOLoffers. TOL’s confidence and ability translates into confidence for the consumer and a starting point towards developing long-term relationships and trust. TOL’s competitive edge is its focus, passion, and experience. TOL seeks to promote and provide access to adventure sports and travel. TOLprovides a differentiated offering with the management experience, capital, and commitment to make it work. TOL adheres to the theory that the goal of business is to create and keep customers. Its marketing strategy will reflect this goal as it builds its reputation in the Woodville area. Though TOL operates in the travel industry, it provides much more than travels. TOL provides adventure and freedom. Many of TOL’s customers spend 50 weeks of the year in an office. TOL offers people the ability to get away and remember how much they love the challenge and excitement of an athletic endeavor. ATI will promote the benefits of adventure travel. These benefits include better health, excitement, personal growth, ear-to-ear grins, and a whole lot of fun. During TOL’s first year of operation it will hold a grand opening and will organize and sponsor several athletic events. Events will include an off-road triathlon, 10k race and 5k fun run, and a mountain bike race. TOLwill provide various travel packages and other items as prizes. All TOL employees belong to local athletic clubs and will, through interaction with other members, promote TOL’s services. During the grand opening and other events, TOLwill provide literature with information about the trips and activities. Negotiations with area health clubs have begun and additional promotions will likely occur through these strategic alliances. Specialty, rather than large national publications, will serve as media vehicles for TOLadvertising. Local radio stations will also be used. Personal selling will also occur, though phone solicitation will be limited. TOL plans to occasionally station sales personnel in locations around Woodville such as shopping malls. TOL’s goal is to develop personal familiarity between its employees and the community. TOL’s distribution strategy will focus on the target market in the Woodville area to which it will sell directly. Secondarily, TOL seeks to establish distribution capability on the World Wide Web. Doing so will improve TOL’s ability to establish a national reputation. Customers will be reached through traditional marketing communication methods. Information has been located detailing profiles of both hard and soft adventure travelers, where they live, work, what they do, etc. Research suggests that many of our target customers, and travelers in general, are Internet savvy and many adventure travelers purchase over the Internet or buy through travel agents. As such, the Internet will serve as an appropriate and effective medium of communication. TOL will target the primary customer group initially. This group has been defined as persons who have purchased or are likely to purchase an adventure vacation. In addition to the Internet, methods by which we will communicate with customers will depend on the results of our marketing research. TOL will likely use trade or special interest magazines, mailing lists and direct mail, and personal selling. Initially, service will be introduced regionally. Sales will be extended into the national and global markets within a few years of operation. We hope to promote out of season services through frequent customer contact and through our own publication, most likely a monthly newsletter. For individual and corporate clients who wish to participate in adventure travel, ATI is the premier adventure travel agency in the Pacific Northwest. ATI’s experience with and enthusiasm for adventure travel is displayed in the exceptional service, value, and advice it provides for the customer. Much of ATI’s pricing is determined by market standards. ATI will attempt to maintain margins of 10% on all airline travel. Margins on all other products and services vary depending upon the provider but are expected to average 20%. ATI will make every effort to maintain a competitive pricing policy. However, as ATI builds its reputation as the premier provider of adventure travel, it expects to earn the ability to charge a premium for its services. TOL will sell the benefits of the services it offers and the activities it promotes. TOL sells the freedom that is part of a healthy and balanced lifestyle. The benefits of that lifestyle are many. People need to be reminded occasionally that there is more to life than building bigger barns. TOL can provide clients with all of the arrangements they can think of and likely many they would not have thought of. Our concern is not to maximize profits on any individual sale but to satisfy the customer. Doing so will reduce costs and increase profits in the long run. It is less expensive to maintain a relationship than it is to develop a new one. At TOL we believe in the benefits of the activities we promote, and we are confident that we can satisfy the desires of the seasoned adventure traveler and the newcomer alike. Detailed projections are located in the Total Sales by Month table in the appendix. TOLexpects sales to be slow in the first quarter of operation. Sales growth is estimated at 20% annually through year three of operation. Strategic alliances for promotion have been developed with Body Works Health Club, Woodville Whitewater, The Great Wall climbing gym, and several area retailers. Alliances with adventure trip providers in several B.D. states and foreign countries have also been established. TOL’s important milestones are detailed in the following table. The milestones reflect TOL’s philosophy that it is important for a company to set goals. Goals determine strategy and tactics, and help to maintain corporate focus. The milestones can be seen as progress points and will be used as a way to measure TOL’s success in reaching its goals. ATI will begin operations with 4 full-time positions. The positions are as follows. General Manager and President: Shea Delaney, age 37, B.A. Marketing Management, University of California Santa Cruz. Shea has 12 years’ experience in the travel industry, including five years’ experience as manager of the Trans world travel agency, Southern California branch. As manager at Trans world, Shea increased revenues by $1.5 million and established the adventure travel division which, in its first 18 months, generated an additional $400,00 in revenues. His background in adventure sports includes four years on the U.S. pro kayaking tour, two years as a sponsored cross-country mountain bike racer, 25 years surfing, including three years as an amateur competitor, and participation in many other adventure and organized sports such as snowboarding, beach volleyball, and track and field. Marketing and Advertising Director: Jordan Barnes, age 31, B.S. Communications, BrighamYoungUniversity. Jordan spent five years as an adventure travel and freelance writer and has been a marketing consultant specializing in adventure sports for the past three years. Jordan has an extensive mountaineering background and has summited three 8,000 meter peaks, including Everest. In addition to mountaineering, Jordan is an avid climber and has skied since the age of five. Accountant: Paul Mclellan, age 45, B.S. Accounting, University of Alaska, Anchorage. Paul is an accountant and an Alaskan. His ability with numbers has helped keep his mind occupied during competition in the Iditarod, marathons, and mountaineering expeditions. Paul worked as an auditor for the State of Alaska for four years after college and then as an accounting department manager for a non-profit organization for another four years. Before going back to school and earning his degree, Paul was a commercial sport fisherman out of Homer, Alaska. During that time he established connections with many service providers in the state of Alaska. ATI will capitalize on these connections as Alaska is a popular destination amongst adventure travelers. Travel Agent #1: Sue Taylor, Certified Travel Counselor. Sue has eight years experience as a travel counselor. She is an avid cyclist, runner, and kayaker. In addition, Sue has traveled extensively and has first-hand knowledge of many of the destinations our clients wish to reach. Her trips include a year-long trek in South America, four months in Nepal, and a four-month stint as a ski instructor in Wanaka, New Zealand. The personnel plan depicts ATI’s anticipated head count for the start up year. The following table provides more detailed information. ATI does not anticipate the need to significantly increase personnel in the first 2-3 years. ATI’s financial plan is detailed in following sections. Preliminary estimates suggest that TOL will experience slow growth in the first two quarters of operation. This is partly due to TOL’s status as a start-up company and seasonal factors. Income estimates are based, in part, on anticipated revenues from accounts that were secured by ATI employees prior to their departure from former employers. TOLhas sufficient cash to endure the negative cash flow situation that it may encounter initially. TOL also anticipates an increase in gross margin and sales volume. Thus, the overall financial plan presents a conservative but realistic depiction of TOL’s financial position. Market growth projections for the travel industry and for adventure travel are accurate. National economic conditions, which are favorable to the travel industry, will not experience significant decline in the next five years. International conditions will remain favorable for service providers and TOL will be able to maintain those relationships. The following chart indicates TOL’s key financial indicators for the first three years. TOL anticipates growth in sales with relatively stable operating expenses. Favorable economic conditions and forecasts of continued growth in the adventure travel market support TOL’s planned financial success. The following table details TOL’s break-even analysis, including monthly sales break-even points. Break-even calculations assume a 20% gross margin. This is a conservative estimate, and it will be improved as strategic relationships develop and the benefits of TOL’s offerings are realized by customers. ATI’s profit picture improves as operations progress into the third quarter of the first year of operation. TOLanticipates improving its gross margin from 22% in year one to 23% in year two. Annual estimates of profit and loss are detailed in the following table. Monthly cash flow is shown in the following illustration. Annual cash flow figures are estimated based on a 60-day collection period. Cash flow for the first year of operation becomes positive mid-year. The pro forma balance sheet indicates sustained and planned growth. Net worth improves considerably in year two and will provide TOL with a strong financial position. Monthly estimates are included in the appendix. The following table details our primary business ratios. Initial analysis indicates that TOL’s ratios for profitability, risk, and return are financially favorable and will improve greatly in year two of operation. Industry Profile ratios are based on Standard Industry Classification (SIC) Index code 4724.